A trip to French Polynesia is a once in a lifetime experience (although after going once you’ll no doubt want to return!). 118 paradise islands, with crystal clear water, palms, coconuts, beautiful flowers and an abundance of marine life. This will be your first stop in French Polynesia as all international flights land in the capital of Pape’ete in Tahiti. It’s the largest of the islands and has lots to offer. 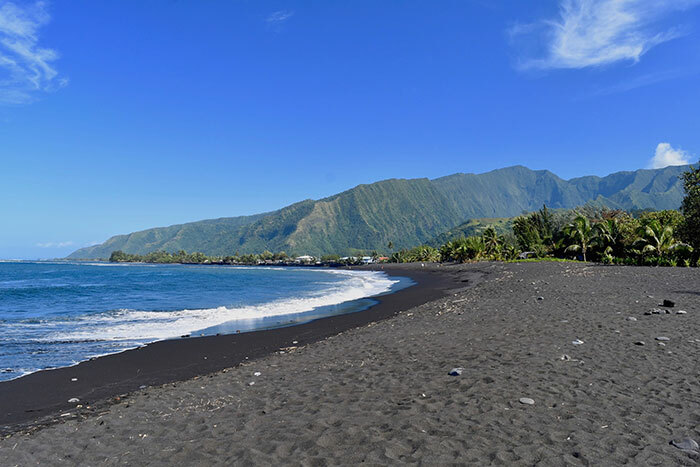 Tahiti is a volcanic island and so the sand is black rather than white, offering some stunning beaches and great surf. Head south and you’ll find Teahupo’o – one of the worlds most famous surf breaks – definitely not for the beginner surfer! Tahiti is also a great place to shop, with Pape’etes excellent market offering pearls, jewellery, flowers, clothes, trinkets and food. 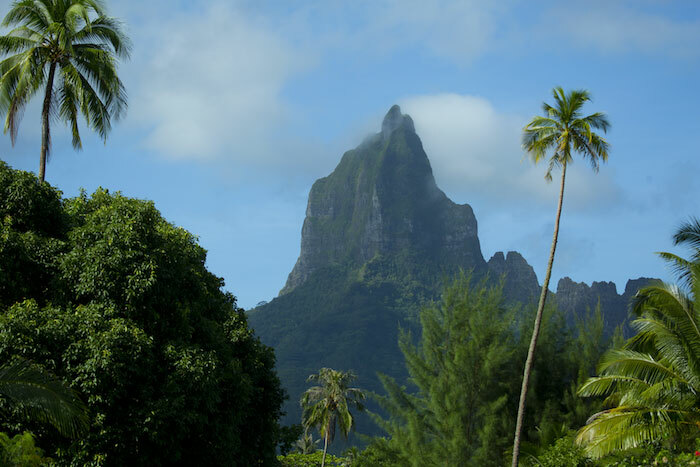 A 35 minute flight from Tahiti and you will arrive in Huahine. 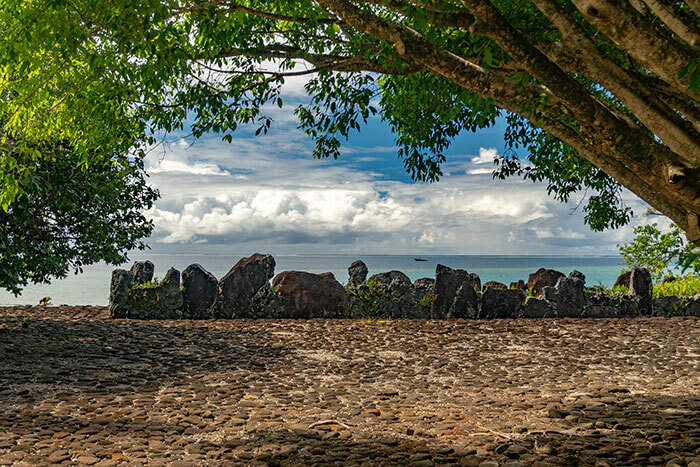 Two islands connected by a bridge, Huahine is a great island for history and archaeology enthusiasts, as it contains a large number of Marae (ancient temples). There are beautiful beaches, in particular on the southern island, and excellent snorkelling with plenty of reef sharks, fish and corals. One of the most famous islands in French Polynesia, if not in the South Pacific, Bora Bora is every bit as beautiful as the pictures suggest. You’ll find luxury resorts with overwater bungalows, but Bora Bora isn’t just for honeymooners. There is great diving and plenty of adventure activities, as well as great hikes up the islands lush peak. 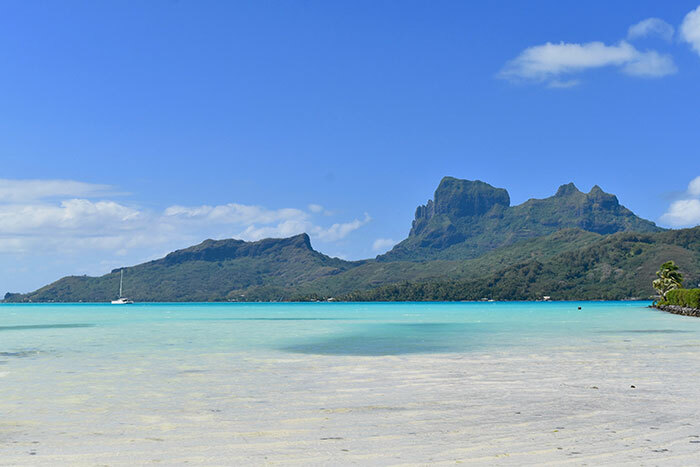 Bora Bora only has one beach, but it’s a beautiful one – Matira on the south of the island. Considered the spiritual centre of Polynesia, Raiatea is home to Marae Taputapuatea, the most important traditional temple in French Polynesia. It dates back to the 17th century. Before the European arrival, chiefs would travel to Marae Taputapuatea from all over Polyensia (as far as the Cook Islands and even New Zealand) for important ceremonies. Ra’iatea is also the main sailing hub of the Society Islands, so if you fancy taking a yacht charter this is the place to come. Taha’a is reached by flying to neighbouring Raiatea, and then water taxi, as it doesn’t have an airport. The island is famous for two things; black pearls and vanilla. Both pearl farms and vanilla farms on the island are open to guests, and you can see and learn about the production of both Tahitian specialities. 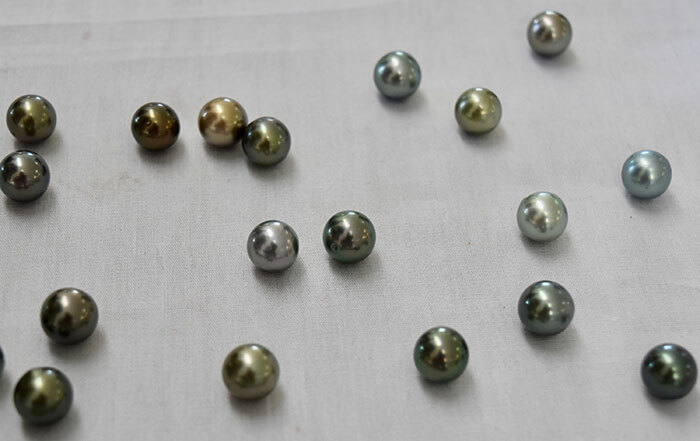 There is also the opportunity to buy pearls and pearl jewellery direct from the farms. Taha’a also has a fantastic snorkelling spot on Motu Tautau. 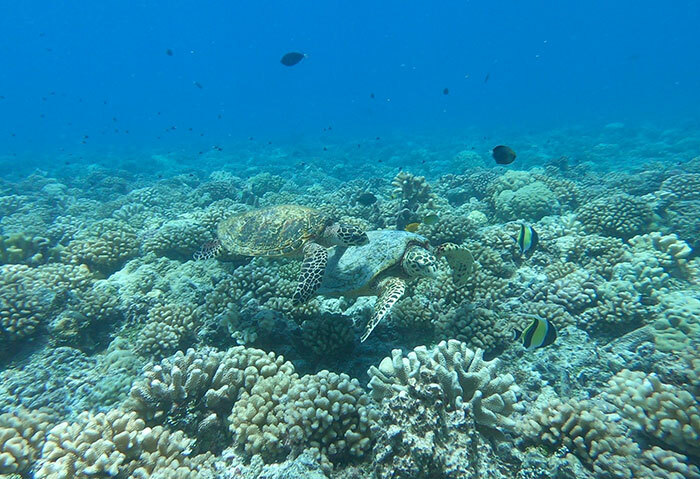 Known as the coral garden, it has an abundance of fish and beautiful corals, reachable by boat from Taha’a. If you’re looking for paradise then head to Rangiroa. It’s a little further away than the Society Islands, but worth the 75 minute flight. 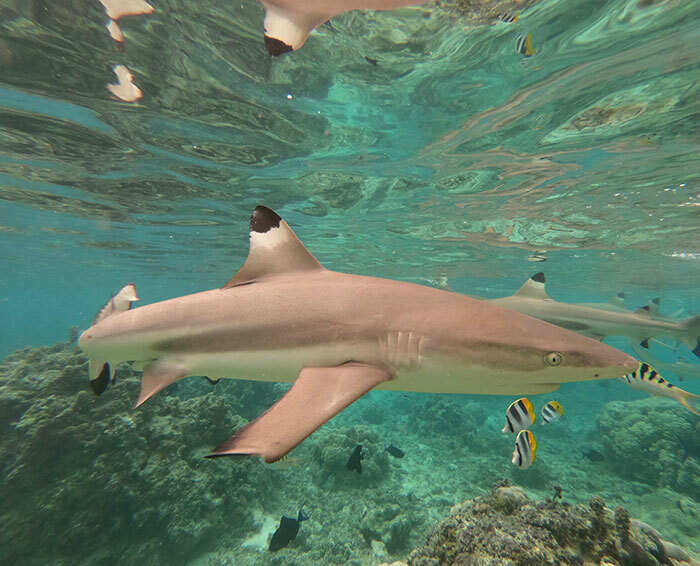 The atoll is home to a world class dive site, the Tiputa Pass, where you can spot a variety of sharks, rays and fish. On the other side of atoll is an incredible blue lagoon, dotted with white sand islands filled with palm trees. Rangiroa is another big producer of Tahitian black pearls and you’ll also find farms (and shops) here. A 10 minute flight from Rangiroa is Tikehau, another gorgeous atoll in the Tuamotu Archipelago. Smaller than its neighbour, less than 600 residents live on the island. Tikehau has beautiful pink coral beaches and great snorkelling and diving. There is a good opportunity of seeing Manta Rays inside the lagoon, which visit the same spot each morning to be cleaned by wrasses. One of the most accessible islands in French Polynesia, Mo’orea can be reached by boat or plane from Tahiti. If you visit between July and October there is a good chance of seeing whales, which migrate past the island each year. Escape to French Polynesia one of our our tailor-made South West Pacific holidays. Hayley Lewis is a British blogger, travel writer and producer living in Sydney. She runs alovelyplanet.com, as well as writing for a number of other publications. She has travelled extensively and has written articles covering destinations, hotels, airlines, restaurants, ski resorts and tours. You can follow Hayley’s travels at alovelyplanet.com or on Instagram, Twitter or Facebook.